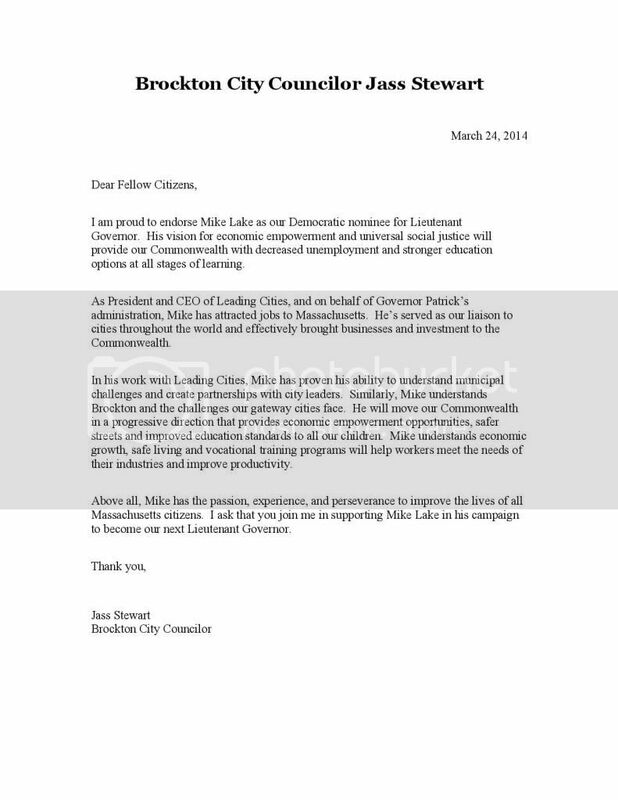 (March 24, 2014- Boston, MA): Democratic Candidate for Lt. Governor Mike Lake was officially endorsed by Brockton City Councilor Jass Stewart this week. In his endorsement, Councilor Stewart cited Lake’s work to bring jobs to Massachusetts and his ability to develop relationships with city leaders. Stewart—a third term Brockton City Councilor—praised Lake’s understanding of Gateway cities and the obstacles they face. He also highlighted Lake’s understanding of Brockton’s municipal challenges as a gateway city.